Our product range includes a wide range of crack repair by metal locking, broken casting repair by metal locking, metal locking of cylinder heads, casting repair and metal crack stitching. Crack Repair by Metal Locking is done by trained technicians. Keys and master locks are used for repairs. Our sytem holds expertise in provide high quality of Broken Casting Repair By Metal Locking. 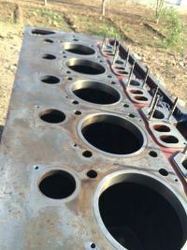 our system hold expertise in providing the Metal Locking of Cylinder Heads. 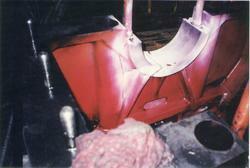 Casting Repair is done by Casting Repair By Metal Locking and Metal Stitching process. 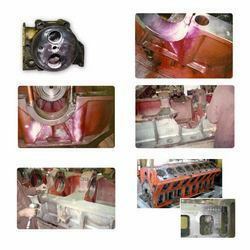 The Metal Stitching process undertaken by us is a precise mechanical method of making permanent repairs of broken casting and machine parts. We ensure that no post-repair machining is required to correct misalignment and warp age as we don't use heat, which leads to stresses. Further as there is no heat, metal locking repairs can be provided in restricted areas where flames or welding arc is prohibited. Thus, the repair work can be carried out at location in the plant, without the necessity of major dis-assembly. A hole pattern is drilled and this is repeated at intervals from ¾ to 1 ¼ inches apart.